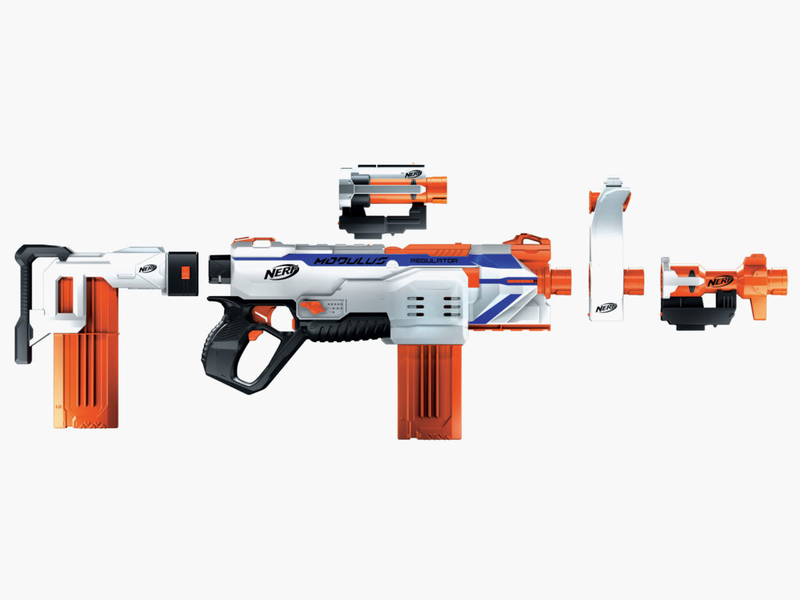 The Nerf N-Strike Modulus Regulator is the brand new blaster for this line. Nerfers expect it to come out in the fall of 2017 with all kinds of other blasters. But as we have seen with other blasters it has been seen in some Canadian stores. The regulator is going to have a select fire system which will allow you to chose between three different modes of firing which are single fire, three round burst, and fully automatic. It will also have a ammo counter built in to the blaster. It will come with multiple tactical rails. It's attachments will include a mag holding stock, a barrel extension that can also be used as a scope, a barrel that is a carrying handle, and an extra barrel extension. This is no other than another Raven. This blaster is the. Nerf N Strike Elite Ravenfire. This blaster while have a very nice paint job that is different from the other Ravens. 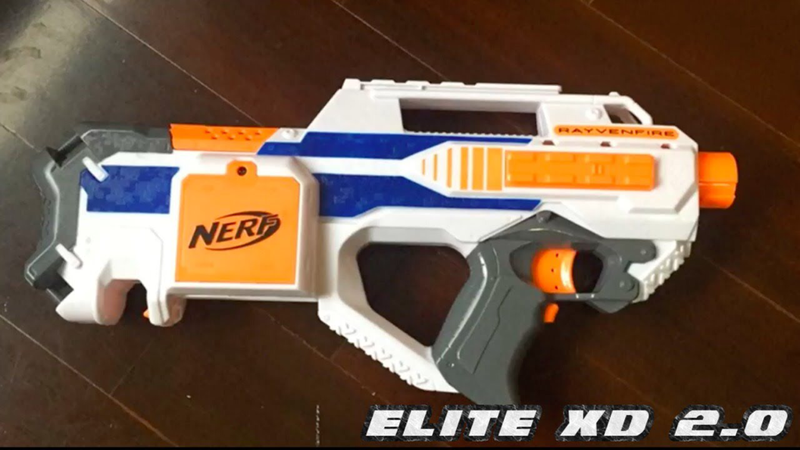 This blaster is going to be part of the Elite XD 2.0 series. This blaster will be shipping with a 10 dart mag and with 25 Elite darts. This blaster has been leaked as a Kohls exclusive. It is expected to come out in late 2017 and the MSRP has not been released yet. I think that this will be cool for people that want a refreash to the original raven. I personally have never had a Raven so I would love to get this blaster when it comes out. 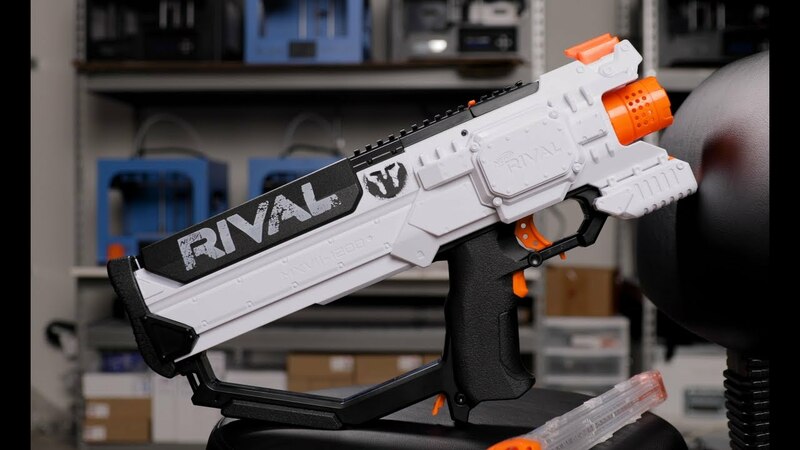 The Nerf Rival nemesis is the latest and greatest rival flagship blaster. The expected release date is fall of 2017 but in some Canadian stores it has been spotted. This blaster marks the first hopper fed nerf blaster for nerf. The nemesis is going to hold 100 rival balls and is supposed to shot 100 FPS. This blaster is going to be comparable with the nerf rival battery pack pack that also works in the Kahos. Many nerfers are very exited for this blaster. In my opinion I am going to have to buy this when it finally comes to the states. This is the Nerf rival Hera. The Hera is going to be the introductory blaster to the Nerf rival Phantom Corps line. This blaster will be a semi auto magazine fed blaster. The Hera will ship with 12 HIR's and with a 12 round mag. Many people think that this will be a rival stryfe. Also this blaster will be compatible with the Rival rechargeable battery pack but it will still take C batteries. In the end this looks like this will be a great blaster to play with and use in Nerf wars. In my opinion this will be a good addition to the Nerf rival line.